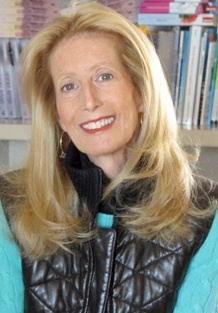 Jane Heller worked in book publicity for years with a lot of big-time authors -- Erica Jong, Mary Higgins Clark, Judy Blume, and Danielle Steel – before she decided to write her first novel in 1994. Since then she’s gone on to write 12 other novels – several of them optioned for film and television – and two books of nonfiction. So who better than to talk about how to get your novel or book noticed? JEFFREY: When you were a book publicist, what was the most common misconception that authors had about publicity? JANE: The most common misconception on the part of authors was, sad to say, that the publicity department would promote them with major campaigns -- authors tours, national television appearances, reviews in The New York Times Book Review. Every author seemed to think we'd get them on the "Today" show, for example. There was much more naiveté in those days, an assumption that every author would get the same marketing dollars and attention as the top-tiered, brand-name authors when, in fact, there was very little done for those whose books had smaller print runs. Now, authors are more realistic in their expectations and that's led to a healthy trend of authors taking more control and publicizing their own books - from being active on Facebook and Twitter and their own blogs to arranging for signings at their local stores. Publicists do the best they can and it's important to view them as teammates, but they're overloaded and appreciate anything authors can do on their own. JEFFREY: Were there certain genres of books that you found easier to publicize? And how much of a factor should that be in what a writer/novelist chooses to write about? JANE: Nonfiction in general was much easier to publicize. Authors who were experts in the categories of how-to, self-help, autobiography, sports, politics, cooking, etc., were what the talk shows were looking for and it was a tougher sell to pitch producers on a novel. That said, I worked with such novelists as Judy Blume, Stephen King, Mary Higgins Clark and Danielle Steel, as well as authors of genre romances and mysteries, and it was a thrill to get them exposure for their books because it was so much more challenging. You really had to come up with dynamic ways to attract the interest of producers and reviewers. Should authors take that into consideration when they're deciding what to write about? Not in my opinion. As I said above, the old rules no longer apply and the social media component equalizes the playing field. The trick to landing on a talk show or in a news story for an author of fiction is for the author to find a nonfiction "hook" in their story. JEFFREY: A lot of authors view marketing like eating their broccoli or going to the dentist -- something to avoid. How do we convince them that it's a required part of being an author these days? JANE: I had a very specific problem with doing my own marketing when I made the switch from book publicist to author for my first novel. For one thing, I thought I should stay out of the way of the publisher's publicist. I knew only too well that publishers often resent the interference of an author, especially a demanding one. And, because of my experience as a publicist, I didn't want anyone to think I was overstepping and trying to do their job for them. So I overcompensated by sitting back like a good girl and waiting to see what they'd come up with. When it dawned on me that the budget for my novel was small and that, despite the publisher's good intentions and genuine enthusiasm for the book, the marketing resources weren't there, I said, "Jane, get over yourself and be as creative with your own book as you were with those by the bestselling authors you used to promote." So I decided to have fun with my own publicity - a concept I recommend highly to those who view marketing like eating broccoli (which I love, by the way). When Larry King said of my novel in USA Today that it "reads like a summer breeze" and is a "good beach read," I decided to do the first-ever "beach book author tour." I was living in Connecticut at the time and literally promoted my hardcover novel at beaches along the Connecticut shore that summer. I called local indie bookstores and asked them to sell books at various beaches and they did! We didn't sell a lot of books, but the publicity for the beach tour was spectacular, landing me in countless newspapers and magazines and, ultimately, on the "Today" show. So I advise authors to try to think of their own marketing not as a chore but to let their creativity shine. No idea is too outlandish. Have fun. Try something different. And remember: the book is your baby. Nobody will love and care for it as much as you do. JEFFREY: Is there an inexpensive (or free) promotion technique that most authors overlook? JANE: Obviously, promoting a book on Twitter and Facebook is a free way to spread the word. But as with the example I gave, think out of the box. The beach book tour cost me nothing except a lot of sunscreen. Yes, I had to spend a lot of time reaching out to various stores and getting beach permits from town commissions, but it was so worth it. If you were creative enough to come up with a book idea, the chances are good that you can come up with a cool idea for promoting the book. If it's a novel, find some nonfiction "hook" -- how you researched it, how it's provocative or controversial in some way or different from other books out there in its genre, how it's ripped from the headlines or based on a true story. If it's nonfiction, go with the topic and make it timely somehow, tie it into what's in the news. And then start emailing editors at relevant publications, write op-ep pieces, get your story out there on blogs. None of this costs money, only time and brainpower. JEFFREY: Even with your professional experience, did you find promotion tougher than you expected? JANE: Yes! Everyone assumed that because I'd been a publicist for ten years, even rising to vice president, I would cruise into the role of my own publicist. Wrong. It's very different to promote other people than it is promoting yourself. I was exquisitely self-conscious about selling myself in the beginning. When I got on the "Today" show, I should have been relaxed. I'd regularly escorted authors to the green room at NBC and prepped them before going on the air, telling them, "Just say the name of your book three times and smile!" When it was my turn, I was a nervous wreck. My doctor gave me a prescription for Xanax and I took two before going on the air. When Katie Couric asked, "So Jane, how does it feel going from publicist to author?" I felt my eyes roll back in my head and I said -- no kidding -- "I don't know. I'm heavily sedated." Clearly, the idea of selling myself made me cringe. But here's what made me cringe even more: seeing my book go without publicity. And so I got over my jitters and focused on the task at hand: spreading the word about my book. I've since been a guest on national television shows many times -- without Xanax. You can learn more about Jane and her novels at her website. Check out The Fussy Librarian for personalized book suggestions. Thank you, Jeffrey and Jane, for allowing us to post this on our blog.